Subscribe to allow more packaging each day. GDevelop allows you to publish your games to a variety of formats including Android and iOS. In order to export a game, click/select “File” from the menu that is located on the top of the GDevelop Interface. Select the Export option of your choice. In this case, we will choose Android and iOS from the panel of options that appears. It is written with only letters, numbers and dots. Only put one dot between words (for example, com..mygame or ..mygame are not valid). Limit this identifier to a 2-5 words maximum. Check that you've included the required icons. In the File menu, choose Export. Then choose Android (& iOS coming soon). To use the packaging for Android, you need a GDevelop account. If you don't have one, click on “Create my account”, enter your email and choose a password. Now, wait for the game to be built. There are a few steps, during which the game is exported, compressed, uploaded to the online build service and built. At the end, you'll have a Download button to get the .apk file that can be installed on Android. 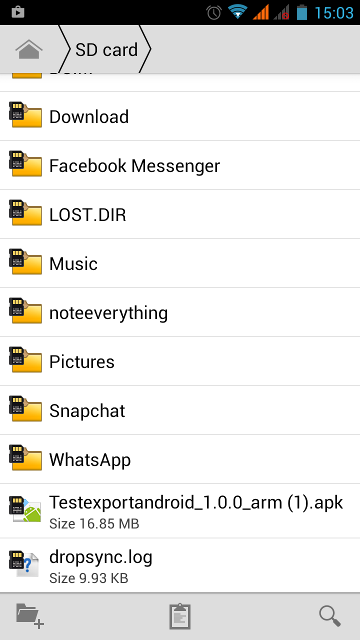 Plug your Android phone/tablet into your computer and put the APK file somewhere in a folder of the device. Alternatively, you can also store the APK on a cloud storage (Dropbox, Google Drive…) and download it on your device. Before installing the APK, go in Settings > Security and activate Unknown sources. This will enable you to install the APK file even if it is not yet registered on the Google Play Store. Yay, the game is now nicely installed on your phone! Launch it like any other app or game. You've created a game for Android directly from GDevelop! You can update it easily: just export and package the game again, send the APK to your phone or tablet and install it. As a registered user, you can package your game twice every day for Android. If you're working more on your game, you may want to upgrade your account to unlock more packaging each day! You can do 10 exports a day with an Indie subscription, and up to 70 with a Pro subscription. Getting a subscription helps the author of GDevelop to continue working on it (GDevelop is an open-source software) and you will also be able to package your game for Windows/macOS/Linux. Once you've built your game for Android and tested it, you can publish it on Play Store. Read this page about publishing to Google Play Store.